Shiatsu is a living and constantly evolving art. Like a cherry tree, its roots are strong and deep and allow it to keep growing and transforming. To this day, all over the world, new generations of practitioners contribute to the growth and ennoblement of this ancient art from Asia. Like many age-old tradition, shiatsu’s origins are lost to time immemorial. It’s possible it came from India, China or elsewhere, but it is its passage in Japan that made it the art it is today. Over time, shiatsu found its place from East to West, from North to South, adapting to its environment and its era and getting enriched over time. At the beginning of the 20th century, it appears in the West, namely thanks to the teachings of Namikoshi and his former student, Masunaga. Shiatsu then split for the first time in modern history, when Masunaga departed from Namikoshi’s practice to develop a shiatsu based on the meridians and the pursuit of physical, psychological and emotional equilibrium according to the oriental model. With these tools, the shiatsu therapist is able to evaluate the state of their client and to build an intervention strategy that is both complete and precise. Its objective is to meet the client’s specific needs and to help them reach a physical, psychological and emotional equilibrium. Furthermore, every person being different and constantly evolving, every shiatsu session will be as well. The Peripheral reading of meridians (PRM) is a rich and accessible tool developed by Sensei Stéphane Vien. This unique and revolutionary approach offers a new depth to the practice of shiatsu. meet the clients’ needs more quickly. Also, shiatsu is an excellent complement to follow-ups in physiotherapy, chiropraxis, osteopathy and even psychotherapy. 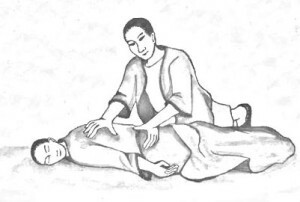 Wataru Ohashi, Beyond Shiatsu: Ohashis Bodywork Method. Carola Beresford-Cooke, Shiatsu theory and practice. Shizuto Masunaga, Zen shiatsu: How to Harmonize Yin and Yang for Better Health. Isabelle Laading, Shiatsu : Voie d’équilibre. Jeremy Ross, Zang Fu: The Organ Systems of Traditional Chinese Medicine. Marie-Michèle Lapointe-Cloutier, Lecture périphérique des méridiens : Percevoir l’énergie autrement. Entrevue avec Stéphane Vien.